White Sox designated hitter Justin Morneau is open to continuing his career in 2017, he told reporters, including Colleen Kane of the Chicago Tribune, on Saturday. Potential factors working against a Morneau return include his poor 2016 output and health issues. The 2006 American League MVP and longtime Twin didn’t debut this year until mid-July after undergoing offseason elbow surgery. Moreover, the 35-year-old has been out of Chicago’s lineup since Monday with what he calls “old-man neck.” When he has played this year, Morneau has registered a career-worst .256/.295/.430 line with five home runs in 183 plate appearances. He has also recorded the lowest walk rate of his career (4.9 percent) to go with a subpar strikeout rate of 25.7 percent. Morneau isn’t far removed from amassing far more respectable production, as he batted .310/.363/.458 in one fewer PA (182) with the Rockies last season and posted a much better 13.7 percent strikeout rate. The year before, he appeared in 135 of the Rockies’ games, totaled 550 PAs and won the National League batting title with a .319 average. Given that he was in the NL then, Morneau had to play first base in order to crack Colorado’s lineup. With the White Sox, Morneau hasn’t taken the field. If the four-time All-Star does return next year, he hopes to at least log some time with the glove. In addition to his desire to serve as a defender again, Morneau would unsurprisingly like to play for a contender, per Kane. The White Sox, who signed him to a $1MM deal in June, don’t fit that description as of now. Whether they’ll enter next season as a hopeful playoff team or a club in a rebuild remains to be seen, but manager Robin Ventura believes Morneau is still capable of contributing. Unfortunately for Morneau, injury issues – including multiple concussions – have helped derail a decorated career. Morneau’s first concussion came in July 2010 and prematurely ended what may have been another MVP-winning season. His production has declined to a notable extent since. The Mets felt comfortable in letting Daniel Murphy go in free agency for several reasons, a decision that ESPN New York’s Adam Rubin notes is certainly worth second-guessing given Murphy’s huge season with the Nationals. Perhaps the biggest factor for the Mets was their belief that Murphy could deliver a good average but little else. Murphy, of course, has contributed 25 homers and a .340/.383/.593 slash line, pretty resounding the Mets’ criticisms about his lack of power or plate discipline. (He has also been above average on the basepaths, as per Fangraphs’ baserunning metric.) Murphy is looking like a bargain signing for the Nats while second base is a question mark for the Mets heading into 2017. For now, “the most logical scenario” between the Royals and Edinson Volquez is that the club will issue Volquez a qualifying offer that the righty will decline in search of a multi-year contract elsewhere, Rustin Dodd of the Kansas City Star writes as part of a reader mailbag piece. It may seem odd that the Royals would risk issuing a one-year, $16.7MM deal to a 33-year-old with a 5.02 ERA through 166 2/3 innings, though the starting pitching market is so thin that Volquez may indeed be able to find a longer-term commitment. If Volquez leaves, Dodd figures K.C. will pursue inexpensive free agent starters, or possibly look for a higher-caliber arm by trading one of its core roster players. The Yankees heavily reloaded on blue chip minor leaguers with their deadline trades, and John Harper of the New York Daily News wonders if the club will try to deal from this newfound prospect depth to acquire a frontline starter this winter. Jose Fernandez may be the most available ace on the market, given that the Marlins may not have the money to keep him before he hits free agency after the 2018 season. Landing Fernandez would likely cost the Yankees Clint Frazier, Justus Sheffield, one of Jorge Mateo or Gleyber Torres and probably one more pitching prospect. It might take an even biggest prospect package than that to acquire Chris Sale given Sale’s club-friendly contract, while the Athletics’ Sonny Gray or the Rays’ Chris Archer are coming off down years and may be too risky for the Yankees given the prospect cost it would take to acquire them. Cuban second baseman Jose Miguel Fernandez and righty Norge Ruiz will play for Aguilas Cibaenas of the Dominican League this winter, Baseball America’s Ben Badler reports. It will present both players with a valuable opportunity to perform in front of MLB scouts, particularly Fernandez since the infielder hasn’t in competitive games for almost two full years. That long layoff may have contributed to Fernandez still being unsigned despite being declared a free agent in April, though Badler notes other factors like teams being pretty set at second base and scouts having questions about Fernandez’s power, fielding and speed. Ruiz left Cuba in May 2015 but has yet to be officially declared a free agent, which Badler finds curious given how several Cuban players have been cleared by the league in far less time. Justin Morneau hopes to play some first base if he plays in 2017, CSN Chicago’s Dan Hayes writes. Morneau has only served as a DH since joining the White Sox, thanks to his rehab from elbow surgery and his lack of a Spring Training. With a proper spring under his belt next season, Morneau feels he can return to his old position at least a couple of times per week. It should also be noted that Morneau’s free agent value will obviously increase if he is able to play a position rather than be limited to a designated hitter role. 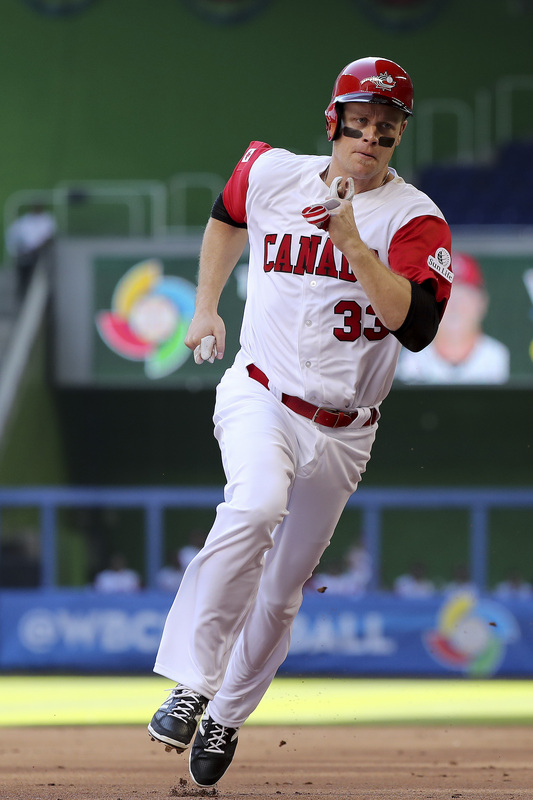 Morneau, 35, signed a one-year Major League deal with the Sox earlier this summer. He sat out the early portion of the season whilst recovering from offseason elbow surgery but has since completed a rehab assignment with the Sox, who will hope that he can add some left-handed pop to the middle of their lineup. In that sense, Morneau will fill the role that Adam LaRoche was expected to occupy when he signed prior to the 2015 season, though his pro-rated $1MM salary obviously comes at a fraction of the salary LaRoche forfeited when he retired in Spring Training. It’s now been a decade since Morneau was named the American League MVP, but he had a pair of productive, albeit injury-shortened seasons with the Rockies in 2014-15. With Colorado, Morneau captured the National League batting title in 2014, and he hit a combined .316/.363/.487 in 184 games as a member of the Rockies. Playing his home games in Coors Field added those numbers, to be sure, but Morneau was as difficult to strike out as ever with the Rox — his 15.2 percent career strikeout rate is considerably lower than most power hitters — and was quite productive even on the road in 2014, suggesting that there’s still life left in his bat. Health, of course, has been an issue for Morneau, who had what was shaping up to be his best season cut short in June 2010 when he suffered a concussion that plagued him for several years to come. He’s also undergone neck surgery and further concussions since taking a career-altering knee to the head while sliding into second base back in that 2010 season. Morneau played in just eight games on his rehab assignment with the Sox, so there’s certainly a chance that he’ll be rusty out of the gate. However, the Sox have utilized Avisail Garcia as their primary designated hitter this season, and the once-promising outfielder has continued his big league struggles with a .232/.301/.332 batting line in 276 plate appearances. The ChiSox will hope that their former division rival can inject some life into that spot in the lineup as the club looks to remain in the race for the American League Central title or a Wild Card spot. Chicago currently trails Cleveland by seven games in the Central and is 4.5 games back from a Wild Card spot.